“Pain heals. Chicks dig scars. But glory lasts forever,” are the words uttered by Shane Falco at the end of The Replacements. The film about replacement players during a football strike may be a comedy, but these words ring true. The 1970s was a decade filled with sports glory. From Muhammad Ali’s legendary career to Walter Peyton’s record-setting legs, few decades were filled with as much sports greatness as the ’70s. Here, for your pleasure, are the greatest athletes from the decade of disco. Do you remember who the NHL’s first million-dollar contract was given to? Stick around to find out! 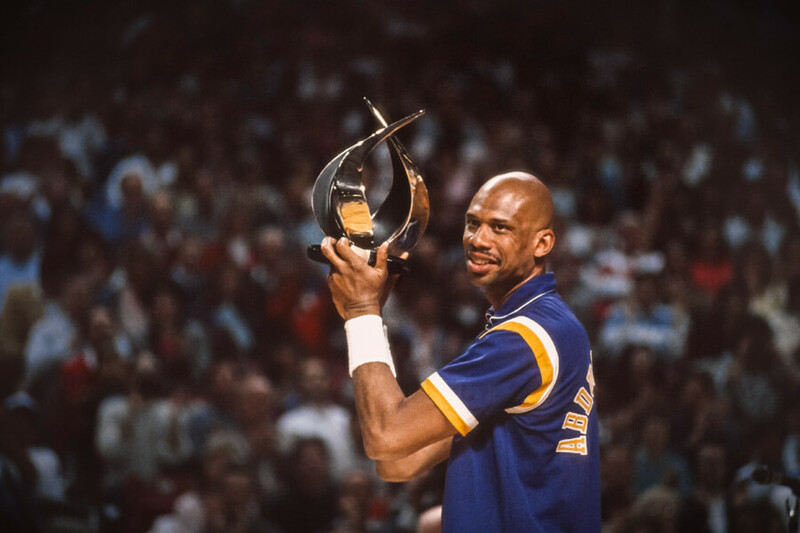 Kareem Abdul-Jabbar dominated the NBA for 19 seasons. Ten of those Hall of Fame seasons came from 1970 to 1980, a period that saw him dominate his sport as few had ever seen. By the end of it all, he led the league in minutes played, points scored, field goals made, and games played. 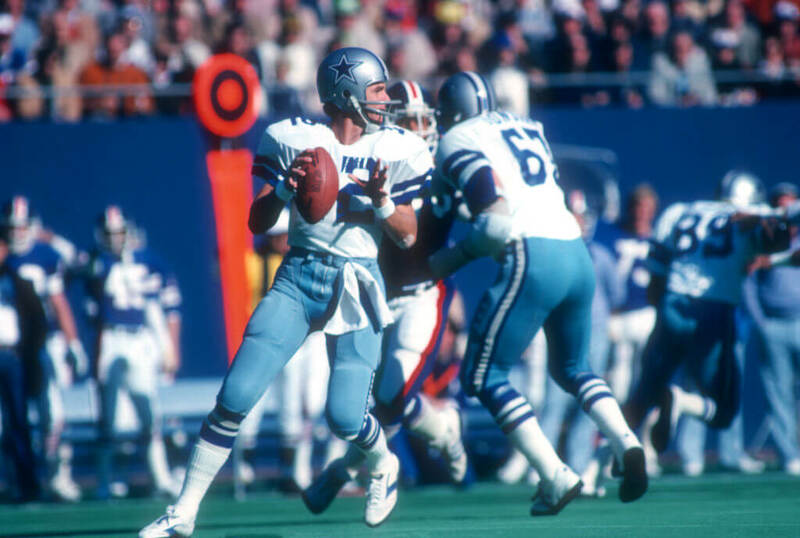 It’s impossible to talk about sports in the 1970s without mentioning the creation of “America’s Team.” Quarterback by Roger Staubach, the Dallas Cowboys became one of the most popular sports teams of all-time. A real American cowboy, he won two Super Bowls in the ’70s and was named to six Pro Bowls. It’s hard to argue there was a better football player during this period, although we’ll try in a few slides. Until then, just know that without Staubach, the Cowboys never would have climbed to the top of the NFL food chain and stayed there for so long. Next, learn just how much of Pete Rose’s career has been marred by his gambling addiction. 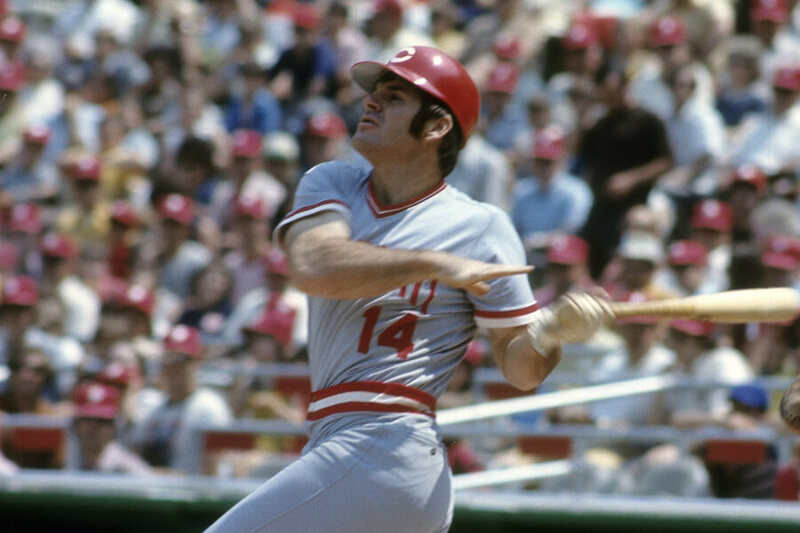 During his playing days, Pete Rose hit the baseball better than anyone before him. 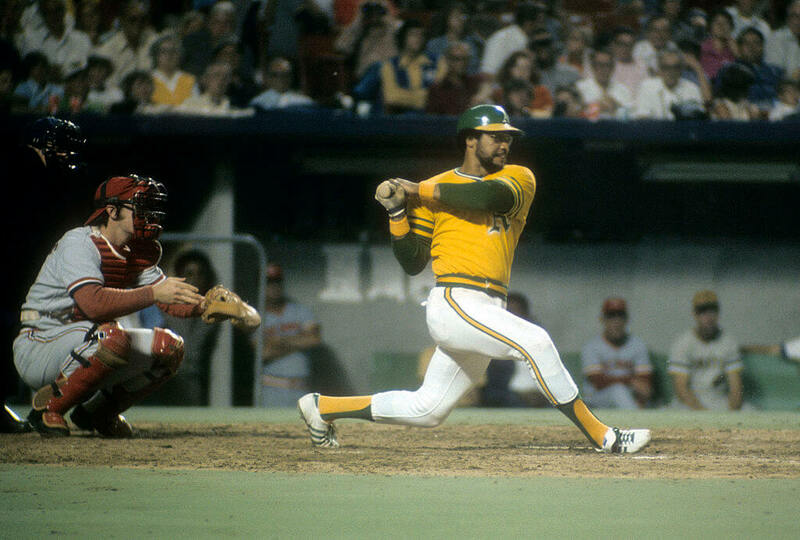 He was deadly with a bat in his hands, using it to reach nine all-star games in the ’70s. He reached his greatest heights in 1975, winning the NL MVP award. Sadly, Pete Rose will never be inducted into the Hall of Fame. After retiring his reputation was destroyed by allegations of betting on games during his career. In 2004, he finally admitted to betting on games but claimed he never bet on his team to lose. If only that counted for something. Most professional athletes retire without ever winning a title. For Reggie Jackson, winning one ring wasn’t enough. By the time the ’70s were over, Jackson had a ring for every finger. He was also named the AL MVP in 1973. And unlike Pete Rose, Jackson stayed clean off the field and was inducted into the Hall of Fame in 1993. During his incredible career, Jackson played for the Athletics and Yankees. In Oakland, he wore the number nine. In New York, 44 was his lucky number. Both cities retired his digits after he retired. Up ahead, Bobby Orr has the NHL back up the Brinks truck, but did he deserve it? 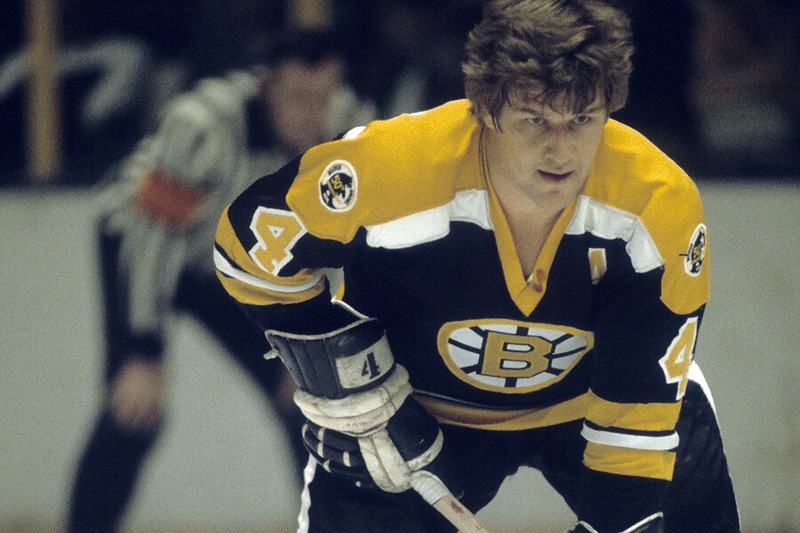 Bobby Orr didn’t have a long career in the NHL, but he did have one of the most decorated ones. Before turning 30 (when injuries forced him to call it quits), Orr was a three-time league MVP and won two Stanley Cup Titles. Most amazingly, Orr scored the title-clinching goals in both finals. Entering the league in the ’60s, Orr was not just the highest paid rookie; he was the highest paid player. In 1972, he signed a contract worth more than one million dollars, making him the first NHL star to reach seven digits. Still ahead, is Walter Payton the greatest running back of all-time? 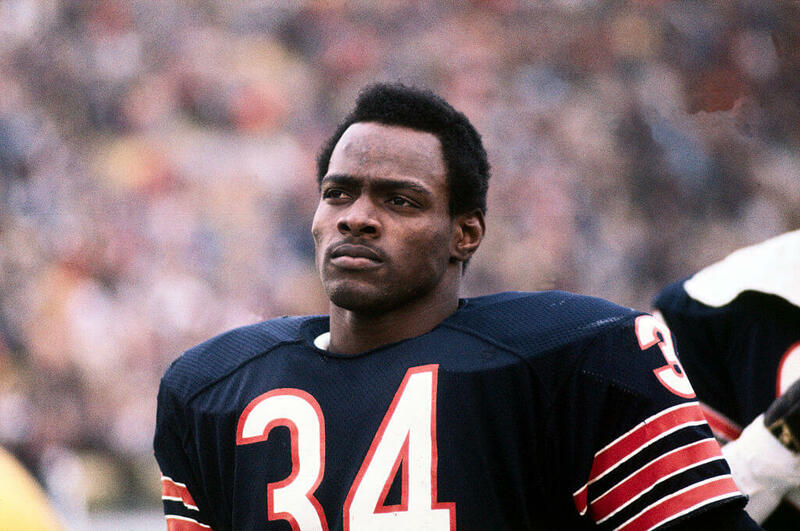 Three years into his NFL career, Chicago Bears running back Walter Payton was named the AP NFL Most Valuable Player. He was also, unsurprisingly, the NFL Offensive Player of the Year. By the time he retired in 1987, he was arguably the greatest running back ever to play the game. Heck, we’d even rank him higher than Roger Staubach on this list if he had played more than five years in the ’70s. That half-decade was transcendent though. In 1999, the NFL changed their Man of the Year Award to the Walter Payton Man of the Year Award after he tragically died from a rare liver disease. Jack Nicklaus started his golf career with a bang in 1961 before hitting a hard downhill slide in 1968. He spent three years waiting to win another championship. Then 1971 rolled around, and he won the PGA Championship, outperforming the competition easily. 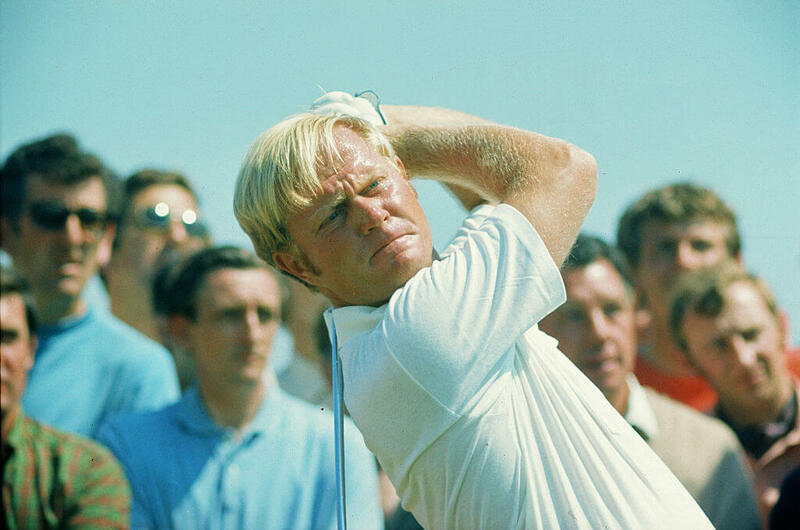 Over the next decade, Nicklaus set records on the green and etched his name in the history books. In 2005 he retired, having won a record 18 majors. He was named the player of the year six times and is considered the best golfer to ever. Coming up, find out how many gold medals Mark Spitz won before turning 22! Mark Spitz retired from professional swimming at 22-years-old, and 100 percent earns his spot on this list. In 1972, he won seven gold medals at the Olympics. During his brief career, he won nine. His seven medals in one year was considered an impossible record to break until Michael Phelps came along. Before calling it quits, Spitz set 35 world records. All before turning 22. He also became a favorite poster, known as much for his athleticism as he was for his good looks and mustache. Maybe two victories a year doesn’t sound like a lot, but if you consider how many times a year major matches happen, you’ll understand just how impressive Ali’s feat was. He defeated 20 opponents in the 1970s on his way to becoming the greatest boxer of the decade. Is one decade enough to make him the greatest of all-time though? We can’t answer that for sure, but he’s at the top of the conversation. His matches were so legendary they even got named. 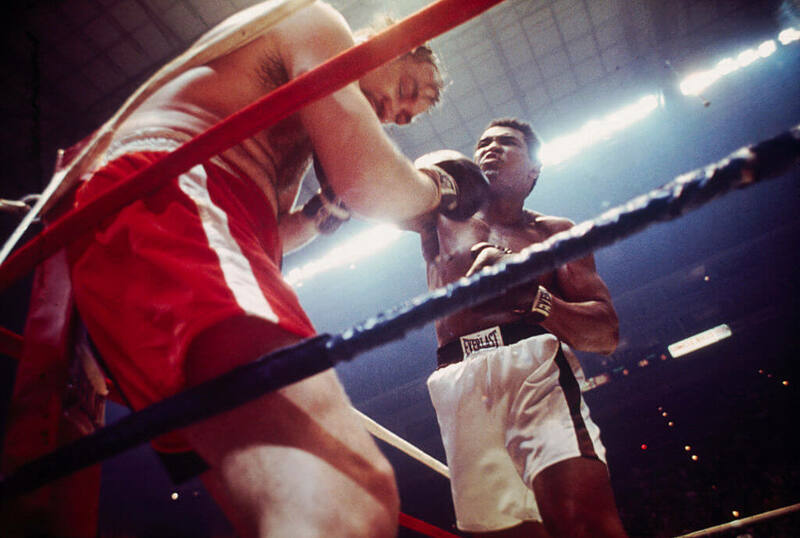 The Thrilla in Manilla and Rumble in the Jungle happened one year apart in 1974 and 1975. No pitcher was more dominant than Tom Seaver was at his peak. 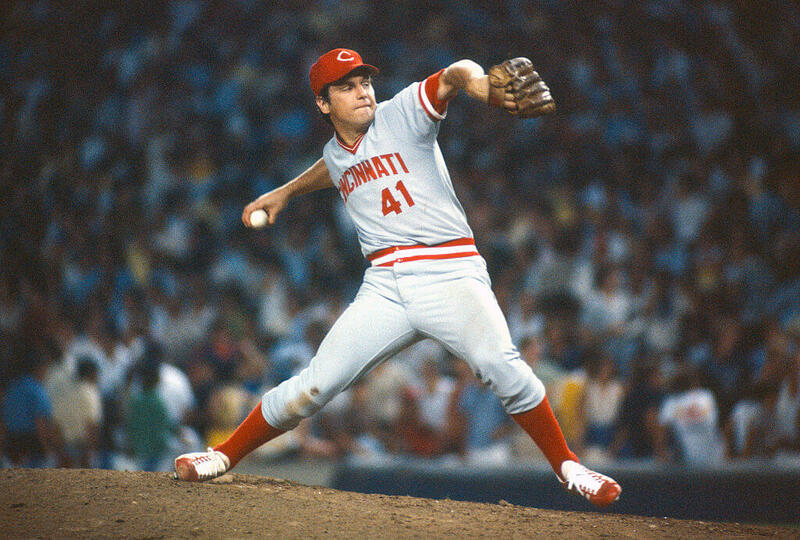 He made eight all-star appearances and pitched a no-hitter in 1978. In 1971, he threw an unbelievable 286 innings and struck out 289 hitters. It may have been another time, but today it’s surprising if a starting pitcher throws 180 innings! Seaver never won an MVP award, but pitchers rarely do. Instead, he kept their bats quiet, keeping his ERA close to 2.00 for the entire decade. He won the Cy Young Award twice, although probably deserved it a few more times if you look at his stats!